Examining the NRL Finals Double Header Issues as Round 26 wraps up. 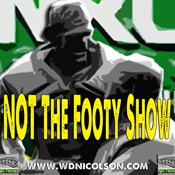 DC Chapman and Warrick Nicolson talk SFS seating issues with 3 Sydney teams playing in Saturday's Finals Week 1 Double Header at the SFS, answer your Questions from our Facebook Q and A, talk about DC's FRL victory over Waz, open packs of footy cards live on air and dabble in a few other topics. 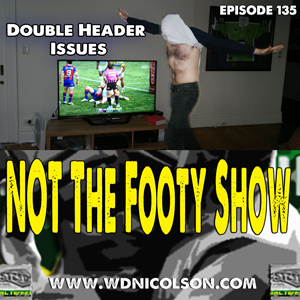 LIKE the show on Facebook to discuss the upcoming month of NOT The Footy Show or catch us on Twitter: @NRLTweet or our individual accounts @wdnicolson @Mr_DC11 @mtsialis @mrpeninsula and Nic McInerney is our Facebook Mozart.